After walking around the castle we were all hot. 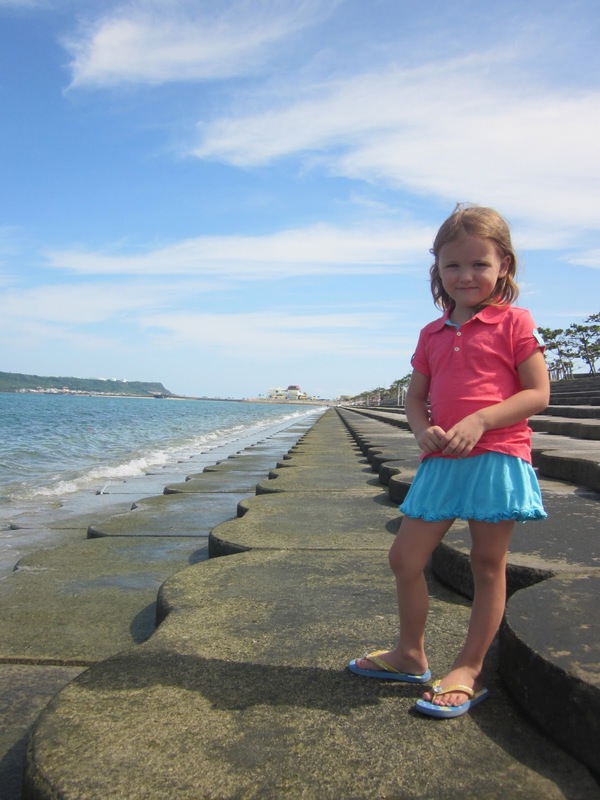 We drove down to one of the many seawalls. The tide was coming in so we sat for awhile and watched the little waves. The kids had fun getting as close as possible without getting soaked. It was so peaceful. We were the only ones there. Definitely an amazing fall day in Okinawa.